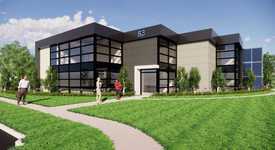 20 Commercial Real Estate and Properties in Hunter Valley are listed in 8 categories. We have 35 Development Lands for Sale , 26 Industrial Warehouses for Sale , 12 Retail Shops for Sale , 6 Offices for Sale , 4 Medical and Consulting Properties for Sale and 4 Other Commercial Properties for Sale . No.8 No.10 Doyalson St Adjoining properties now on offer Combined land area approx. 1400m² Side Lane access 35m roadfront Ideal shop top housing site Disclaimer: Every precaution has been taken to establish accuracy of the above information but does not constitute any representation by the owner or agent. Information is gathered from sources we believe to be reliable; we cannot guarantee its accuracy and interested persons should rely on their own enquiries. Rare opportunity to invest your money in the heart of Maitland's growing commercial district, located in the city center next to the new levee precinct. The old Squash courts of Maitland are now on offer. 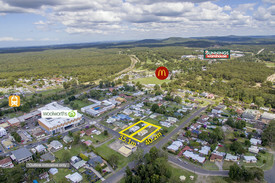 Surrounding high profile tenants include: Aldi, K Mart and Best Less, all located in the Maitland Riverside Plaza. Untapped potential lies within this 3 story building with 2 squash courts, viewing gallery and various office spaces. Plenty of parking in the immediate vicinity. 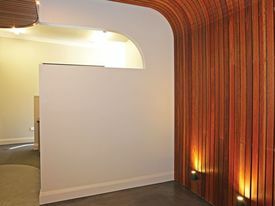 First floor tenancy is a thriving dentistry, Central Maitland Dentistry has been in operation for more than 30 years. Returning $65,000 net per annum approx in the second year of it's 5 year term also with 2 x 5 year options. For Sale: $729,000 Contact Agent for more details. 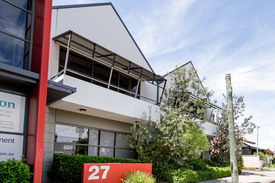 INDIVIDUALLY STRATA TITLED SUITES & OFFICES Freehold Strata Titled offices and shops prominently positioned in the heart of East Maitland with excellent exposure. 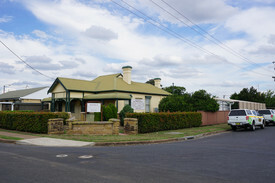 This level building is zoned B2 Local Centre 3(a) General Business under the Maitland City Council 2011 LEP. Located only minutes from the New England Highway Building is fully Strata Titled and all individual Shops & Offices are being sold separately Property consists of ten shops and two office spaces Ample on site bitumen parking at the rear of building for staff and patrons This is a rare opportunity to secure a Commercial/Retail property in a prime location, benefiting from a large flow of pedestrian and vehicle traffic exposure. Contact Stephen Henderson for further information DISCLAIMER We have obtained all information provided here from sources we believe to be reliable; however, we cannot guarantee its accuracy. Prospective purchasers are advised to carry out their own investigations and satisfy themselves of all aspects of such information including without limitation, any income, rentals, dimensions, areas, zoning and permits. 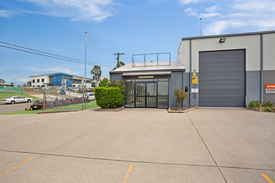 INDIVIDUALLY STRATA TITLED SUITES & OFFICES Freehold Strata Titled offices and shops prominently positioned in the heart of East Maitland with excellent exposure. 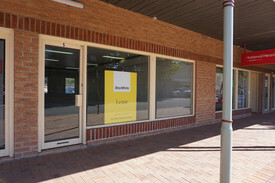 This level building is zoned B2 Local Centre 3(a) General Business under the Maitland City Council 2011 LEP. Located only minutes from the New England Highway Building is fully Strata Titled and all individual Shops & Offices are being sold separately Property consists of ten shops and two office spaces Ample on site bitumen parking at the rear of building for staff and patrons This is a rare opportunity to secure a Commercial/Retail property in a prime location, benefiting from a large flow of pedestrian and vehicle traffic exposure. DISCLAIMER We have obtained all information provided here from sources we believe to be reliable; however, we cannot guarantee its accuracy. Prospective purchasers are advised to carry out their own investigations and satisfy themselves of all aspects of such information including without limitation, any income, rentals, dimensions, areas, zoning and permits.